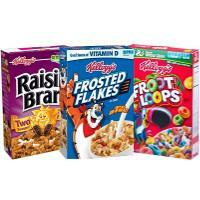 With 22 different Cereals to choose from, Kellogg's offers variety with great taste the whole family will love. The cereal is good for you and still tastes good. Good healthy cereal good for you with great tastes. With big variety. Many flavors and whole grain.